Our Employee Assistance Program (EAP) and Church Assistance Program (CAP) provide services from a Christian world-view that is sensitive, inclusive and without apology. Pine Rest provides expert support to leaders of Christian organizations; both for their personal needs and for their provision of healing to the surrounding community. 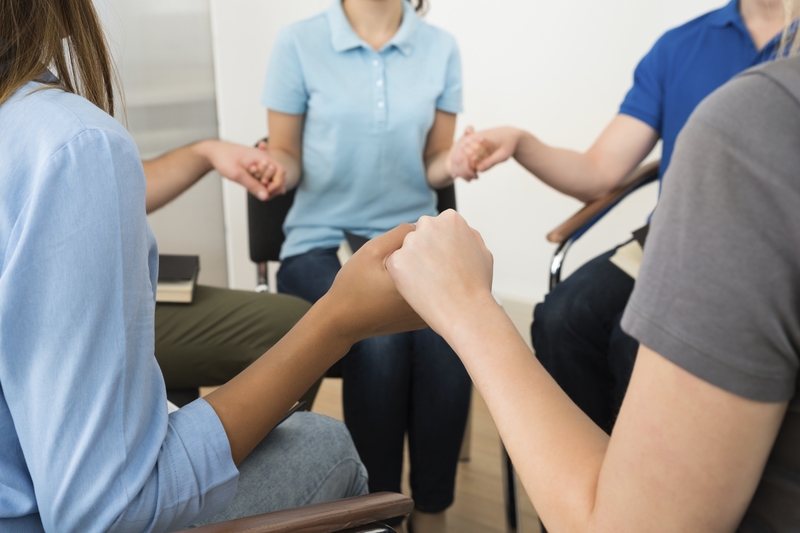 When faith-based organizations contract with Pine Rest EAP or CAP, your members and staff as well as members of their households can receive confidential, comprehensive counseling services at no cost to them. Services can be purchased in a variety of packages, including single-product with preferred pricing. Please call 616.281.6305 for questions or more information. Services can be purchased in a variety of packages, including single-product with preferred pricing. Members can select from several counseling options to fit their preference, needs and schedule. You can explore all of our services and learn more about our counseling programs and services now. Members and their families can call a dedicated 800 number to access assistance 24-hours-a-day, 7-days-a-week. A Pine Rest Counselor (psychologist or clinical social worker) will be engaged within one hour of the service request. Within 48 hours an appointment will be scheduled with experienced Pine Rest psychologists and clinical social workers at any of our clinic locations. Pine Rest contracts with organizations for a specific number of counseling sessions per member/per issue/per year. Many of your members may be facing the daunting challenge of caring for an elderly loved one. Evaluating the services needed and tracking down resources, all while trying to provide support for emotional and daily living needs of a loved one can be overwhelming and exhausting. Pine Rest’s CAP provides telephonic access to an elder care specialist, who works directly with your church member to make a careful assessment of the individual’s care needs. The specialist will provide education and contact information for available local care and service options, guiding the member throughout the selection process. Pine Rest has negotiated a free consultation and discounted rates for CAP members at the Certified Public Accounting firm of VanderLugt, Mulder, DeVries & Elders (VMDE). VMDE is a CPA firm helping families and individuals with Personal Tax Preparation, Small Business Services and Medical Practice Management issues. Through your CAP, you can access an expert to discuss budgeting decisions, taxes, wealth management, etc. Pine Rest CAP has negotiated a free consultation and discounted hourly rates for CAP members at the West Michigan law firm of Rhoades McKee, a full-service law firm helping families and individuals, small growing businesses and large corporations understand and address legal issues since 1960. Your members will have access to the Personal Advantage Web library. The cloud-based service provides instant access to health and wellness, financial, and legal information and much more. The Health and Wellness section alone contains over 2,000 Harvard Medical School reviewed articles, 700 videos and dozens of health assessments. The Financial section provides articles, calculators as well as federal and state tax forms—resources that might come in handy this time of year. A company-specific password is necessary to log in and access most of the information. The site may prompt users to set up an individual account if they want to save results from calculators, quizzes or assessments. The Pine Rest EAP and CAP provide confidential consultations for your leadership staff with Master’s and Doctoral level clinicians to assist with evaluation, support, and recommendations to assist in facilitating a resolution in the workplace. We also provide resource and reference materials so that they are equipped to respond to minor situations before they become major production issues. A calling to this mission drives training, consultation and response. Pine Rest CAP provides expert support to leaders of Christian organizations; both for their personal needs and for their provision of healing to the surrounding community. Pax’s team of specially trained consultants are available immediately 24/7 in the time of crisis. We believe there is no greater honor and no greater responsibility than to be there for people on the worst day of their life. A calling to this mission drives training, consultation, and response to their emergency, crisis or tragedy.